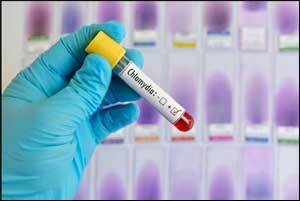 Chlamydia is the most common sexually transmitted disease in the US which leads to infertility, ectopic pregnancy, and pelvic inflammatory disease if not treated on time. According to a study published in the journal Infection and Immunity, it has been concluded that a pre-exposure of chlamydia to the gastrointestinal tract acts as a vaccine and provides protection against subsequent infection in the genital tract and other tissues. Incidentally, the gut infection by chlamydia is a benign entity.In case the genital tract is the primary site of chlamydia exposure, genital chlamydia spreads to the gut and induces responses that promote further disease in the genital tract. “This research emphasises the pre-exposure of chlamydia to the gastrointestinal (GI) tract as a vaccine,” said Guangming Zhong, from the University of Texas Health Science Center at San Antonio in the US.Human exposure to chlamydia is unpredictable, perhaps coming through genital or non-genital sexual contact with an infected partner and perhaps via contact with contaminated materials.The researchers utilised a mouse model that is a controlled way to study chlamydia transmission.The team found that if the gut is the first site to be colonised by chlamydia bacteria, then the mice are immunised against further disease. The gut infection is benign, However, if the genital tract is the first to be infected, the resulting disease is harmful, according to the researchers.This results in a worse disease prognosis, including the possibility of infertility because the disease is advanced before symptoms are evident, they said.”If you are exposed to chlamydia in the GI tract first, it’s a vaccine, but if you are exposed in the genital tract first, you may have enhanced disease,” Zhong said.Zhong is exploring the possibility that Chlamydia trachomatis, the bacterium that causes chlamydia, could be delivered orally as a vaccine.”We take probiotics for our GI health. In the future, we may add chlamydia as a probiotic for the gut. Once the bacteria are established in the GI tract, they don’t spread,” the researcher said.Chlamydia is especially common among young people, and the CDC estimates 1 in 20 sexually active young women age 14- 24 have the STD.